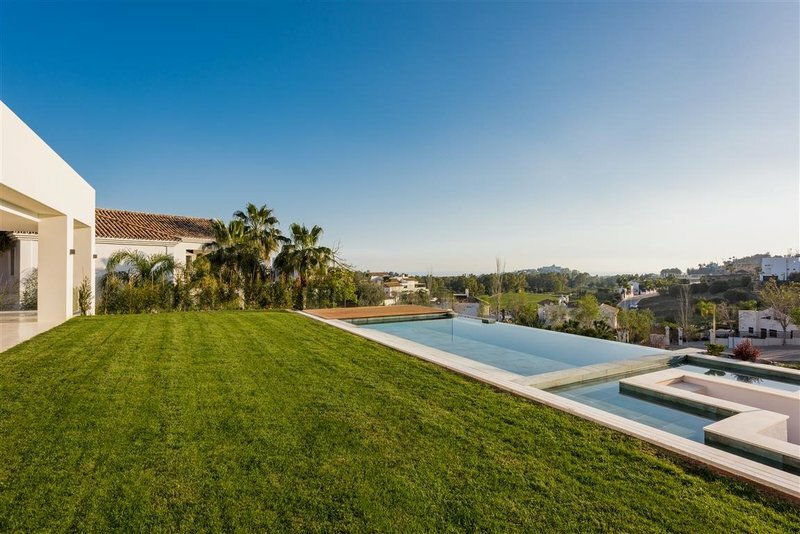 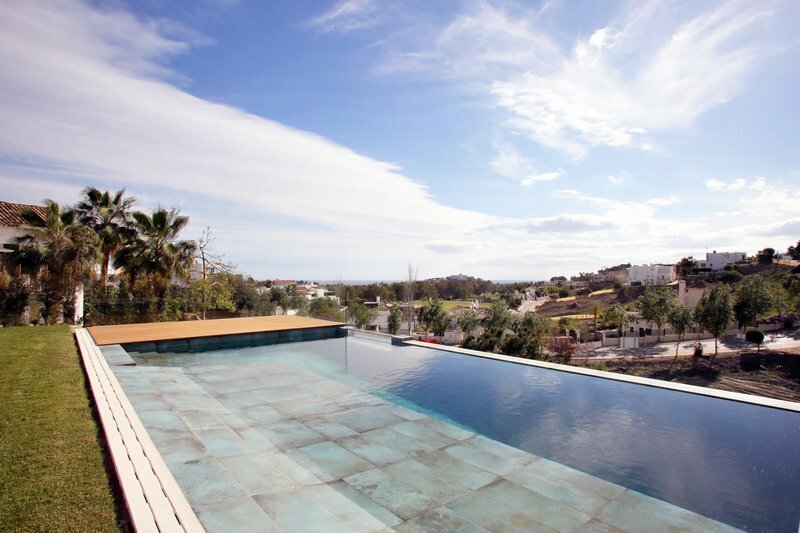 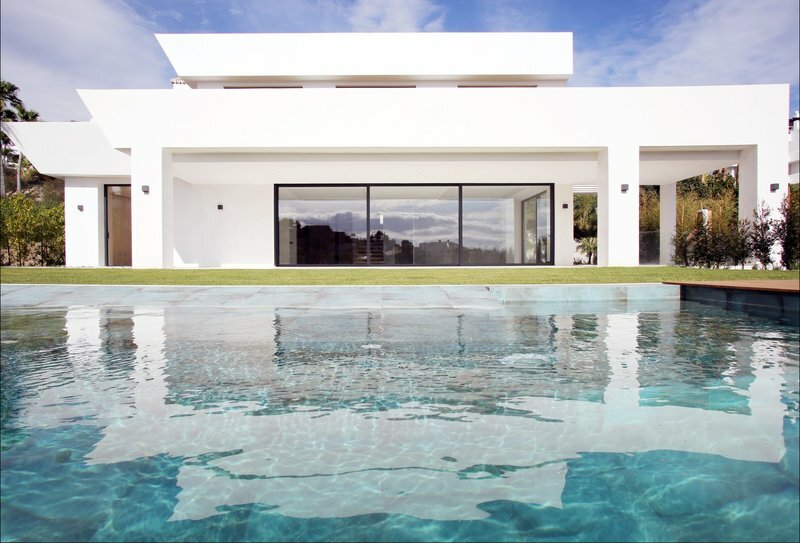 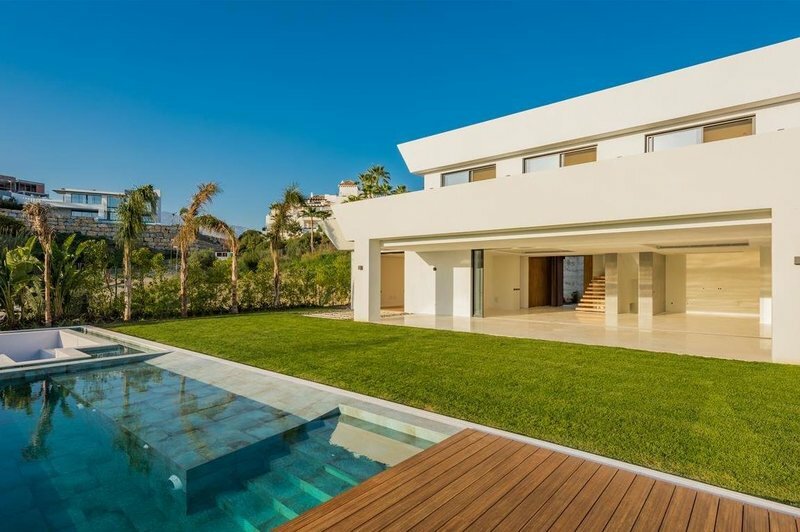 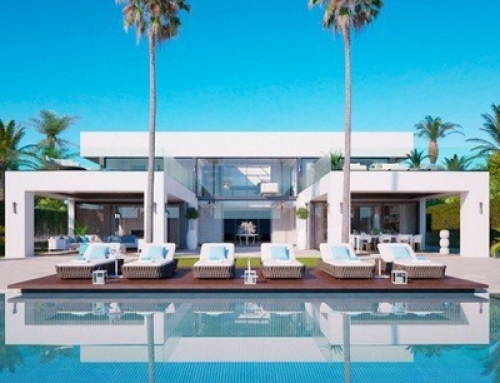 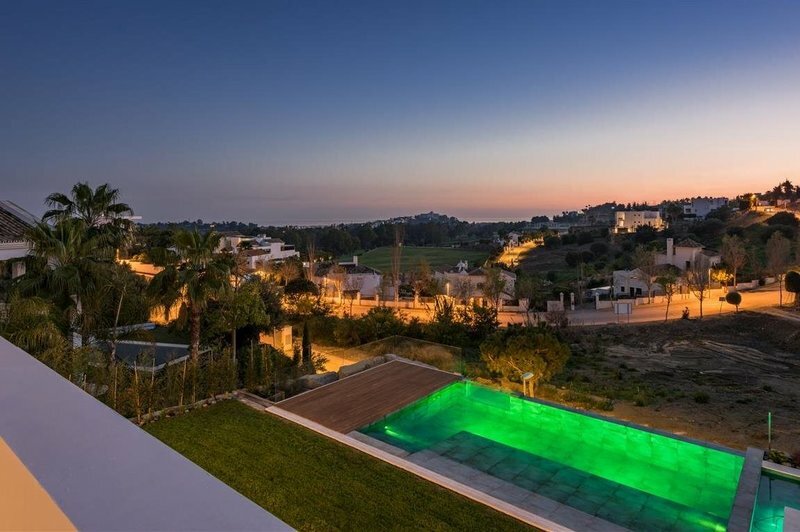 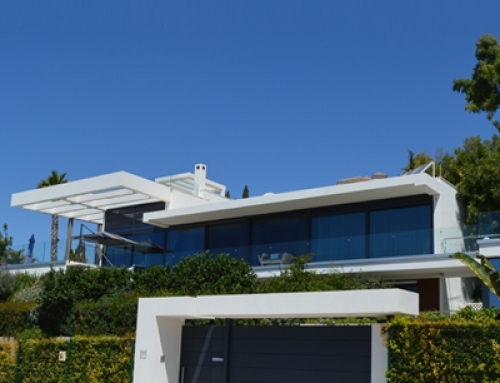 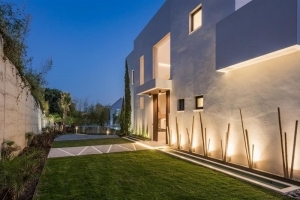 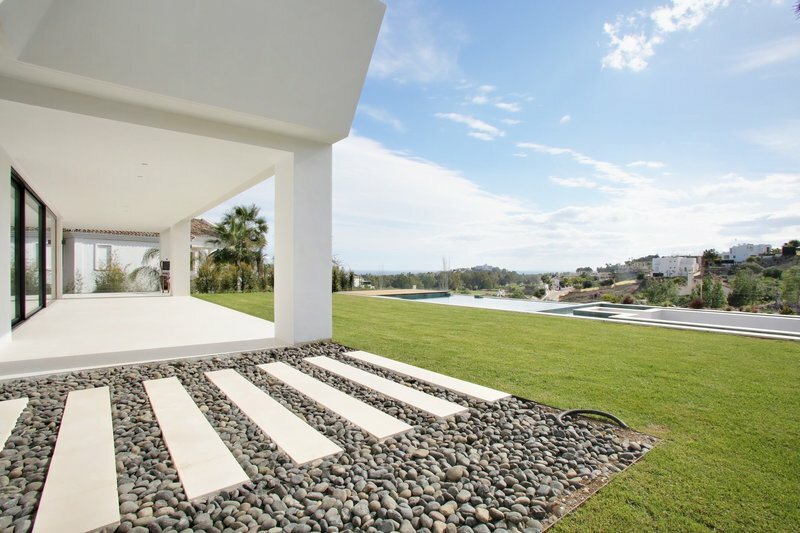 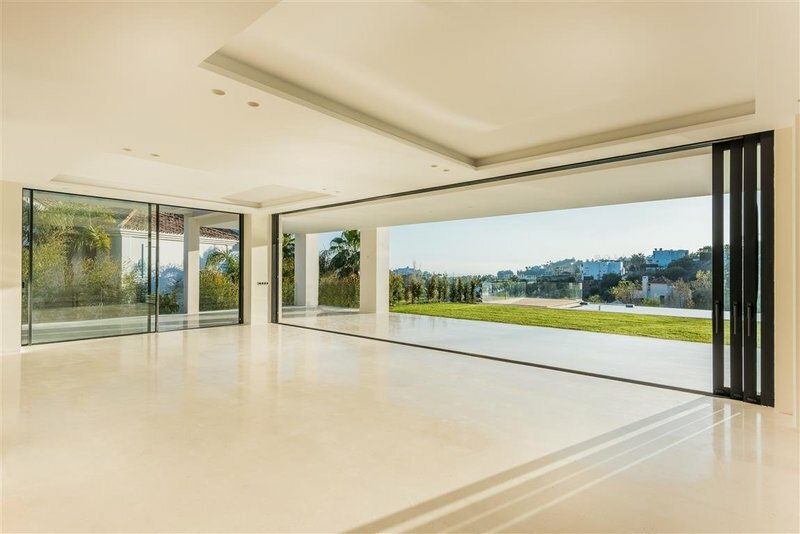 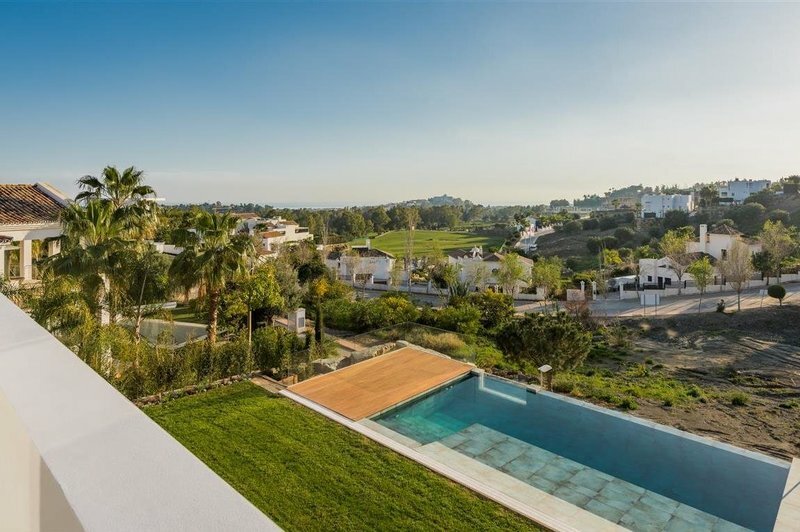 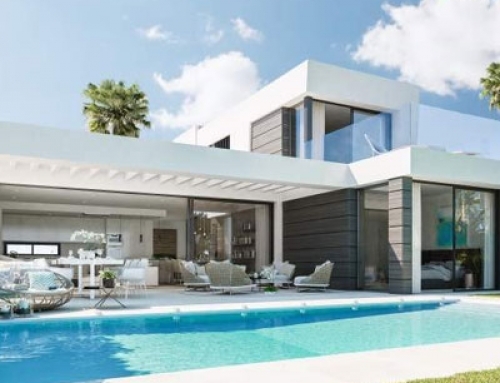 Brand new south west facing, five bedroom Modern villa in La Alqueria, Marbella a luxury residential area only a few minutes away from Puerto Banus and Marbella. 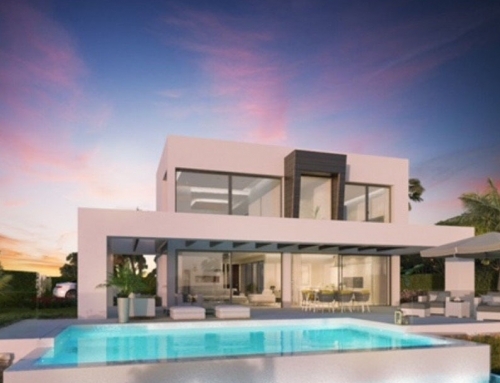 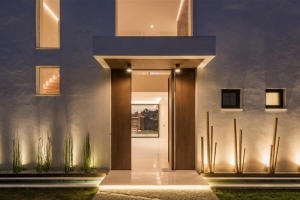 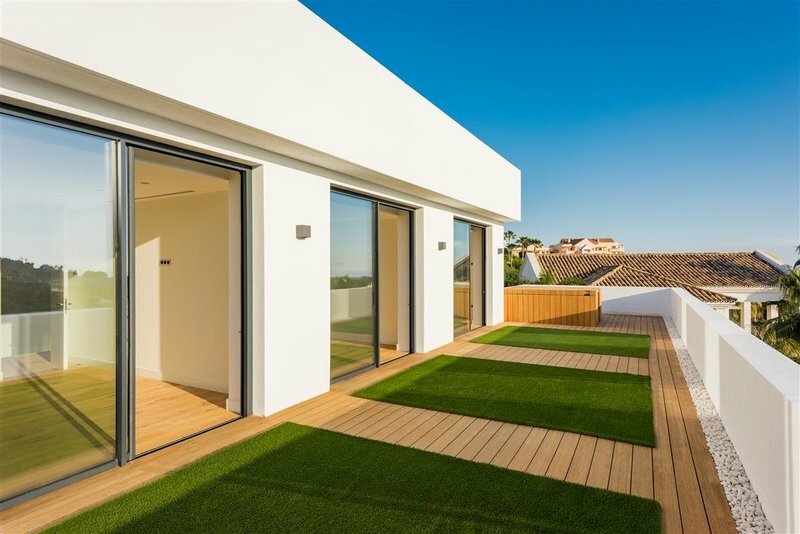 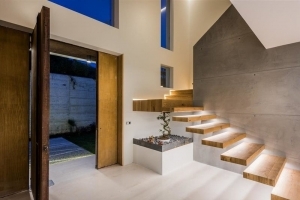 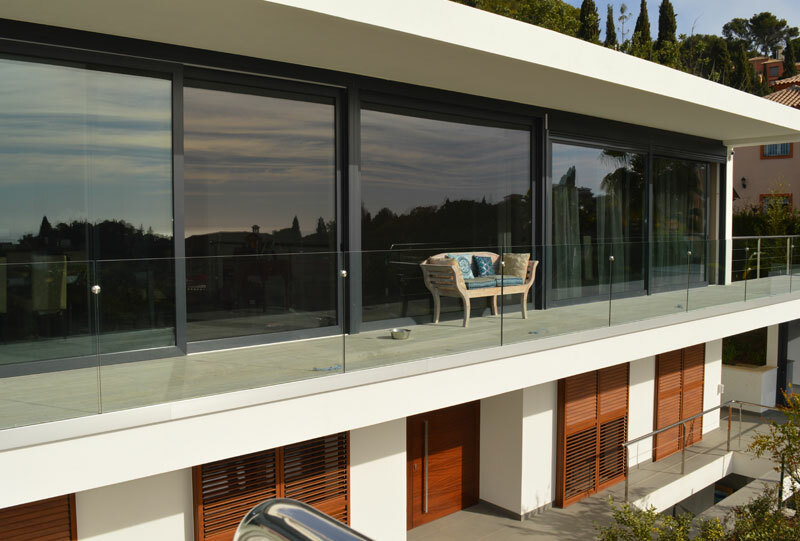 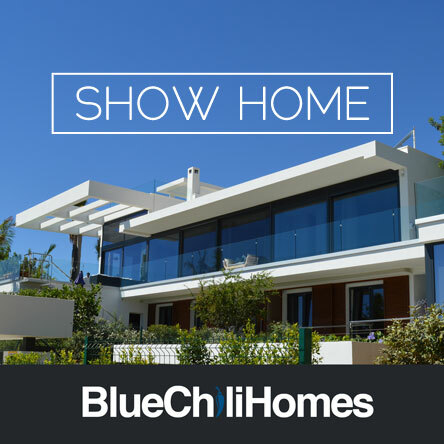 This modern villa has been built to the highest standards, as you enter the property there is a spacious living area with glass cavity sliding doors leading to the private terrace with beautiful sea and golf views and garden area; fully equipped kitchen; a guest suite and a cloakroom. 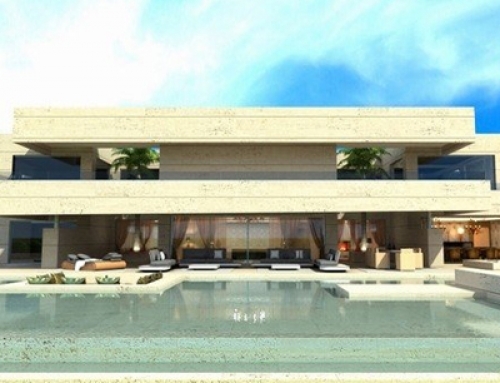 On the top floor there is the master suite, two guest bedrooms and a shared bathroom. 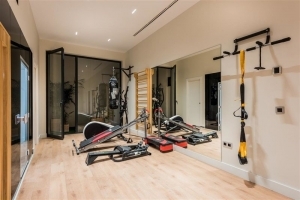 All bedrooms have direct access to a terrace with Jacuzzi and an outdoor shower.On the lower floor is another guest room with bathroom and a gym with sauna and steam room. There is also another area on the lower floor which could be converted to a cinema or games room. 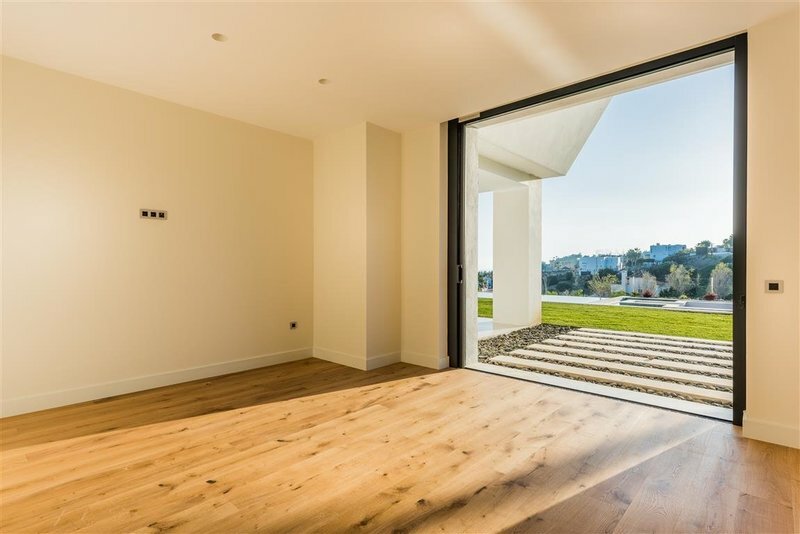 Other features include a garage for three cars, hot and cold air conditioning, underfloor heating throughout and surround sound music system.